We're losing not just rest, but wisdom. It’s no secret that Americans have trouble sleeping—almost a third struggle with insomnia-related problems. But they also have trouble dreaming. As Rubin Naiman, a psychotherapist at the University of Arizona’s Center for Integrative Medicine, argues in a recent paper, several factors are combining to create an “epidemic” of dreamlessness, one that could be harming our physical and mental health in surprising ways. A lot of this has to do with what we’re putting into our bodies. About a third of Americans have at least one alcoholic drink a day, Naiman reports in his paper, and contrary to its reputation as a nightcap, the way your body metabolizes booze means you get less Rapid Eye Movement (REM) sleep, where dreaming happens, when you imbibe. Marijuana—used in the past year by about 13 percent of Americans—does much the same, potentially helping users fall asleep but suppressing that crucial REM cycle. Sleeping pills and antidepressants also reduce REM sleep, and sleep disorders, restricted sleep due to scheduling and artificial light (like blue light from your smartphone, as well as streetlights in the city) all contribute to dreamlessness. All together, Naiman says that tens of millions of Americans are leading dreamless lives. This can affect people in all sorts of negative ways. Research indicates that pain sensitivity, childhood obesity, memory difficulties and degenerative diseases like Alzheimer’s are all linked to REM/dreaming deprivation. 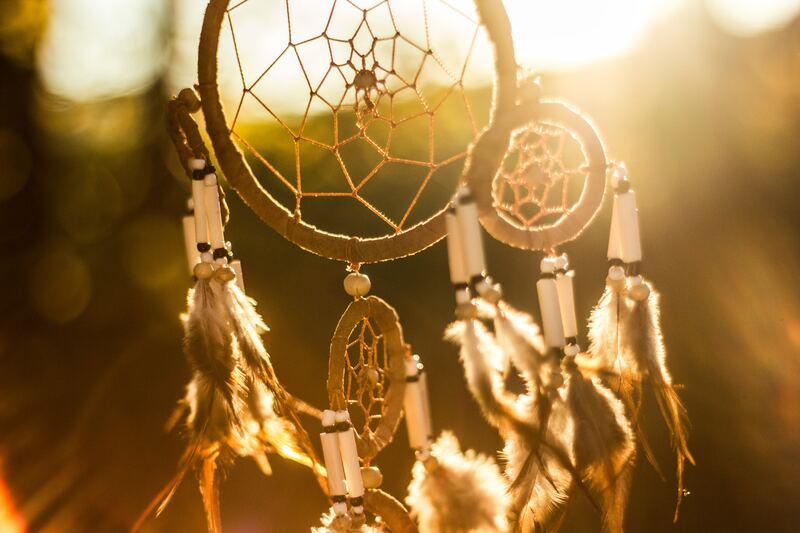 The role of dreaming in mental health is especially intriguing: the loss of REM sleep is linked to greater irritability, anxiety and aggression and risk of depression. As has been theorized by Sigmund Freud, if not earlier thinkers, dreaming appears to play a role in emotional regulation. Indeed, Naiman calls dreaming naturally occurring psychotherapy. Like Susie Nielson notes in her coverage of Naiman’s paper at New York Magazine, part of the problem is that the fields that study dreams see them through their discipline’s predispositions. Sleep scientists tend to only think of dreaming in terms of rapid-eye-movement (REM) sleep, the period where dreaming typically happens, and the measurable, quantitative health outcomes that come along with it. But for many psychologists and therapists, dreams can be taken as meaningful personal experiences—a kind of imagistic, often metaphorical expression of whatever we’re going through in our waking lives, whose meaning can be better sussed out with the tools of poetic analysis, rather than physiological measurement. Kelly Bulkeley, author of Big Dreams: The Science of Dreaming and the Origins of Religion, says that the shortest definition of dreaming is “imaginative play.” The brain is anything but quiet when you’re dreaming, as it processes emotions and looks ahead. Bulkeley, a psychologist of religion the Graduate Theological Union in Berkeley, California, created the Sleep and Dream Database, which has collected some 20,000 accounts of dreams from volunteers around the world, and he says that one of the key psychological themes is that we’re rarely alone in dreams—often, we’re dreaming of the people we’re close to. “Dreams reflect the emotional concerns we have in our relationships,” he told me in an earlier interview. ”Dreaming is really a resource for exploring the qualities of our relationships, who we care about, where we struggle.” The frightening truth, then, is when we lose our dreams, we could lose insight into our lives.